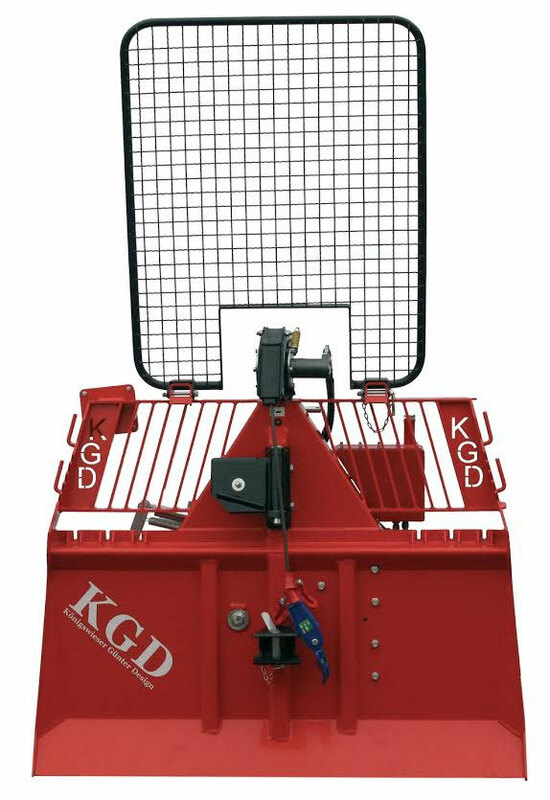 The 5.5 ton Königswieser strong winch with electro-hydraulic control and hydraulic self-sufficiency is the ideal skid device for tractors up to 70 hp. A large clutch diameter ensures a low heat and less wear. The coupling of the winch is operated by annular cylinder and is self-adjusting. Solid steel bracing and reinforced drive components enable a challenging experience. Particularly advantageously, the radio winch is in the one-man forestry work! 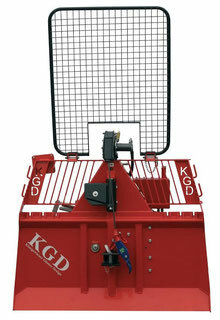 Standard configuration includes the autonomous hydraulic unit, self-adjusting/maintenance free clutch system, 2'nd drive reduction for higher pulling force with the same tractor power, lower cable infeed for safer and easier pulling, tow-bar, heavy-duty protection guards for drivers safety and tractor protection. Fully comply with the Austrian forest machinery safety regulations ÖNORM L 5276, designed and build according CE-standards and delivered with the declaration of CE conformity.